Traveling with baby is not a hard task as you think if you can properly set strategies and plan for the time ahead. Yes, we all know that traveling without baby is easier than that of being with baby. It’s true. But it is also true that we can make our traveling time more enjoyable if we know some tricks. While traveling with baby, as a parent, you need to consider many things. Starting from packing things to health and safety, everything must be appropriately planned. Let’s start with packing…. Packing is the first thing to consider while traveling. Parents, both old and new, face hassle while packing. You need to pick many things in the bag but not unnecessary things. Besides that, you can save your time, space, and hassles by packing the bag efficiently. First of all, think of the diaper bag. Parents must look for enough internal and external pockets, attached diaper changing pad, attached space for keeping lotions and cream, multi functional pockets. Then, focus on the things to be kept in the bag. These things are diapers (enough for the traveling time), diaper cream, lotion, extra clothes, plastic bag for storing used diapers and clothes, hand sanitizer for washing hands and keeping safe, bottles for feeding milk, cream, spray, sufficient amount of snacks for both parents and baby, blankets, and of course, soft toys. Load some pockets with diapers, wipes, sanitizer etc. Take extra clothes (essential first) and feeding materials. Keep blanket and extra clothes in the inner pockets. Count your baby’s favorite toys and entertaining materials in the external pockets. Include phone, ATM cards, documents etc. and put these in external pocket. In order to reduce stress and hassles during departure, try to pack the bag and baggage night before the departure day. Some of the essential things that you might need during traveling immediately must be kept within the touch. Being safe and healthy during the time of traveling is the first priority for the parents. Traveling with babies needs extra action and steps. For this, you can take care of the following health tips. Keep first aid box within the touch of hand so that you can get it for instant treatment of injury. Include thermometer and common medicine in the kit box. Besides, keep doctor-recommended medicines with you to avail your safety. Take sunscreen cream, baby lotion etc. to keep the skin of your baby safe from the sunshine. Take kit box that can contain door knob covers, socket covers, small covers etc. in order to convert any area into safe zone. Keep a Sippy cup, pacifier, bottles etc. for relief while flying with your baby. Manage doctor and travel insurance before starting the journey. Baby need naps all the day. During traveling, it’s rare to get parent who used to nap her child during whole day. It’s not wise to spend whole vacation doing such things. So, as a parent of baby, you need to be smart. Sometimes your baby may not nap while being in crib. At that time, you can walk with her and nap her in a stroller. 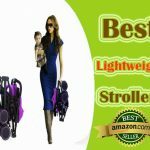 You need to smart while selecting stroller. 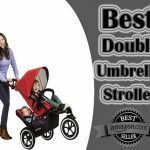 It is better to buy the lightest and smartest stroller that can be reclined easily. 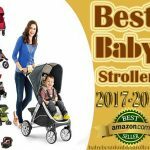 You may face situation like your baby doesn’t feel comfort in stroller. In that situation, you may take help of front carrier or baby backpack. You can wear your baby while napping during vacation and walk with her and enjoy your vacation. Having car seat avails you to drive and to help baby nap in the seat simultaneously. For this, you may manage drive time and sleep time of your baby. Some babies are not good at sleeping while in transit. In that case, you need to schedule your baby’s nap in the room. Consider your kid’s napping style when selecting accommodation. If your baby can not nap in transit, consider the room nearer to your travel zone. Baby needs food. Taking milk or any other soft food is essential part for the babies. Besides babies, parents also need to eat food to stay sound and fresh. Babies drink milk very frequently, whether breast milk or bottle milk. If your child drinks the breast milk, carry extra blanket and bottles. Blanket is useful when mom hesitates to breastfeed in public. You can also bra that is specially designed for breastfeeding babies. If you are not breastfeeding, use bottles to store formula milk and keep the bottle with yourself during traveling. Besides milk, keep snacks and foods for yourself. 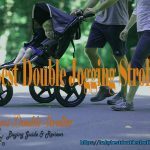 These are important to both for you and your baby. Snacks and foods also make the journey enjoyable because you can easily avoid hassles of looking for snack break during the journey. However, keep a few items within the touch distance to avoid sudden hunger pain. Note that if you are heading to a place where you get easily without hassles, load only necessary amount of foods in the bag to avoid carrying extra weight. While traveling, one of the important things to consider is accommodation. It is important to get a suitable location for the wellbeing of both you and your kids. Take help of your guide or travel agent before booking any room. While selecting the room, consider apartments or flats as they provide all the basic facilities required to be self-dependent. Apartments provide you with kitchen, refrigerator, and the other things to make mealtimes easier and to store food and milk for your baby. If you have no tension of budget constraint, you can arrange a larger accommodation with multiple rooms. If you have crib with you, it is not necessary to request crib. Otherwise you need to confirm this before booking room to avoid hassles of bargaining later. If there is hot weather in your destination region, consider the availability of child pool. Most important thing is choosing best kids friendly facilities. So, you must research and plan ahead of your journey. Don’t bother to buy tickets for both of you. Extra seat allows you to have a safety seat. Choose best airlines and travel agent while traveling. It is better not to compromise with these things. Book the seat that has bassinet connection in case of flying. 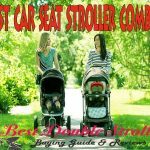 While traveling by road, take light and compact car seat or stroller, anyone you prefer. Keep foods that are not perishable. You need to keep your baby hydrated in every minutes. Pack extra snacks and fluids in your bag. Keep favorite toys, blanket, and pillows that your baby looks for all the time. Irrespective of the way you are traveling, bring things around your baby that helps her to sleep quickly. Take the toys that are soft, not hard. Hard toys can cause injury to your child. It is wise not to go for longer trips with baby. Don’t confine you baby to a seat only, let her walk and play. Give her home feelings so that she can enjoy every minute of traveling time, play naturally, and nap anywhere. It is better to keep her with you always and provide comfort zone. You need to schedule traveling time based on your baby’s condition. Also, you can keep a babysitter or look for one where you are going. It facilitates you to complete your personal tasks. If you take care of the above tips, you have already come to know that traveling with baby is not that kind of painful tasks that we think. So, forget the myths about this and start believing that you can enjoy every minutes of your leisure by traveling with your baby.